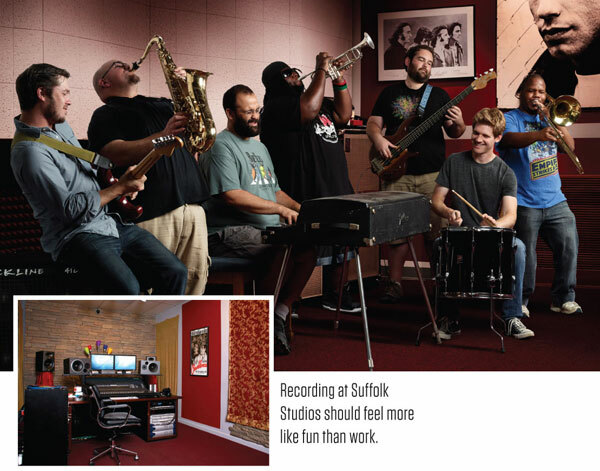 A recording studio is more than the acoustic and inspirational aspects of its physical space. It is more than the quality of its equipment. It is defined by the abilities of the engineers and producers who work there. While much of this flies under the radar of the average music fan, musical artists understand that in choosing a recording studio they are also selecting a collaborator that can make or break a project. Pulse took a look at five such Long Island collaborations. 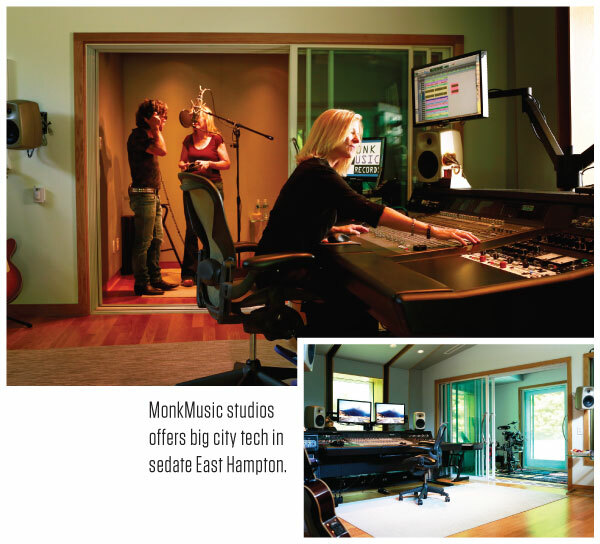 Architecturally stunning, MonkMusic Studios provides both state-of-the-art technology and an East Hampton anonymity that has attracted everyone from Paul McCartney and Beyoncé to local favorite Joe Delia. Cynthia Daniels, an affable and articulate Grammy winner (soundtrack for The Producers Broadway production, for one) simultaneously wears the hats of owner, producer and recording engineer. The most unique characteristic of Monk is that it’s out of the fray of the city; it offers the sonic excellence of a New York City studio with the environment afforded by East Hampton. My overarching philosophy stems from my early training with [producer] Phil Ramone at A&R Recording. The music and the artist come first. The tools we use should maintain the integrity of the specific project. 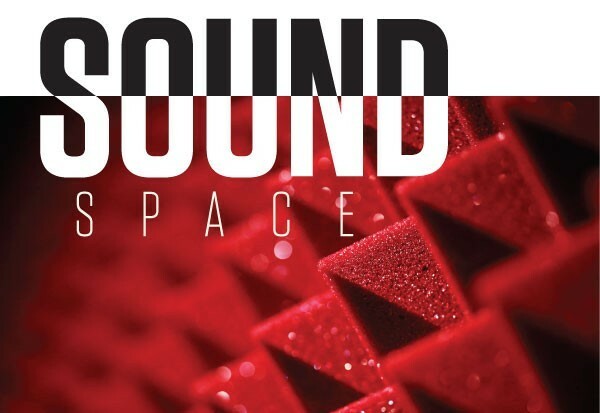 For me, sonic integrity includes being true to the genre—the right attitude, the right headset—helping to create the vibe for the artist is always going to be the nuts and bolts of getting it done. Joe’s project Smoke and Mirrors was the first tracking session we ever did at MonkMusic when we opened in 2011. He knew we were going to put the studio through its paces. Not only was the sound amazing because the band was great, we also realized the studio worked like a charm. Everything came together. Cynthia’s studio is a combination of perfect acoustics and feng shui. That, coupled with a master engineer at the board, makes the recording process a transcendent experience. The tracking [for Smoke and Mirrors] had been done in two other studios as well as at Monk and there were sonic issues that seemed insurmountable. Cynthia was somehow able to make it sound like every track had been cut in the same room. Enter Dan Welsch’s studios in Patchogue and it becomes clear why the owner chose the catchphrase “the vibe is on.” From the Williamsburg-esque lounge area to the very large Nashville-inspired live room, the studio exudes an unpretentious yet sumptuous charm. Rows of show posters from 89 North, the acoustically superb music venue that Welsch co-owns, serve as subliminal reminders of a potential reward beyond the recording experience. Welsch may be the idea man, but top-flight engineers/producers such as Eamonn Vaughan, who navigates the sea of high-end technology, remain the x-factor that attracts artists like “the horn-driven jam band” Funkin’ A.
I’ve been a musician all my life. I always wanted to own a studio. I saw this space, which was way too big for what I needed, but it looked perfect for a studio. The main room is almost exactly the same size as the RCA studio in Nashville where Johnny Cash and Carl Perkins recorded. And the treatment on the walls is the same thing they used. This band has a very big sound and some really fun vibes. I wanted to capture their massive energy while still being concise. Keeping the rhythm section together in one live room and the horn section together in another allowed for maximum isolation while still allowing the band members to feed off of the energy of the others. They know music. And they know that recording music is not only a lot of fun, but sacred. Eamonn essentially became a part of the band while recording this album. We have many time changes and contrapuntal rhythms in our music that Eamonn was able to navigate for us effortlessly. We are an eight-piece funk band and were able to capture the “live” feeling we were looking for. We were all in headphones and were able to communicate our music with each other just as we had hoped. Mick Hargreaves, the vet roots rocker and leader of The King Guys, likes to record musicians in their natural habitat. It might be their favorite venue to gig, their homes or a cool space that was found through happenstance. The engineer, producer and musician has transported his numerous equipment-filled cases to all of the above. Many top-level studio folks believe a professional recording requires the silently throbbing nexus of technology that only a studio can offer. But Hargreaves prefers to exploit the acoustic and psychic potential of the particular space he’s working in. Local artist Bryan Gallo chose the Lantern Sound Recording Rig (LSRR) to capture his soon-to-be-released album, The Party Guest. The session was set in an East End cottage with Butchers Blind serving as backing band. “Cowboy” Jack Clement once said that a recording studio is the worst place you can pick to make a record. So I go on location to make records—and that could be some interesting places. A lot of it is about comfort and putting the artist at ease. Overdubbing can be done anywhere. The way the Bryan Gallo record happened was that Butchers Blind did extensive pre-production rehearsals with Bryan. When then they came in to record with me they played everything down as a band. They were literally sleeping in front of their amplifiers at night. I reached out to Mick knowing that he recorded the last Butchers Blind album (Destination Blues) at the cottage. There’s just a great natural sound in there for drums and other acoustic instruments, so everything came out sounding organic. At first I was in disbelief knowing such great sounds could come from a compact unit and not from a fancy high-end studio. That’s a testament to Mick knowing the ins and outs of his equipment and also how to treat a physical space as part of the character of the recording. Essentially, with the LSRR there are even fewer limitations than you’d have with a conventional studio. 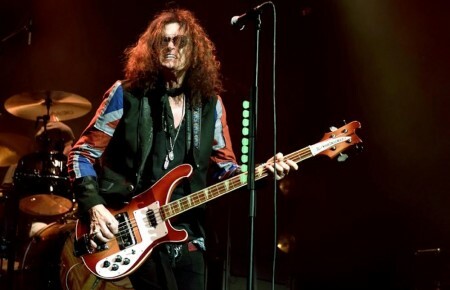 Perry Margouleff’s formative years included watching his uncle, Robert Margouleff, record Stevie Wonder’s classic 1970s material at Crystal Sound Studios in Los Angeles. When the junior Margouleff opened Glen Cove’s Pie Studios in the early 90s, the producer/engineer/guitarist bought much of the vintage equipment from such legendary NYC studios as RCA and the Record Plant. Margouleff shuns the digital sheen that has become the current norm. 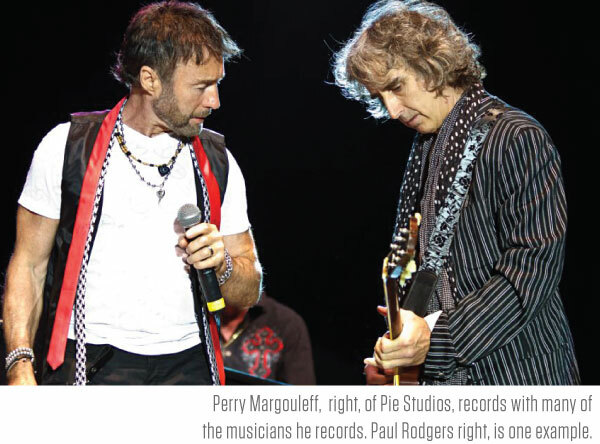 Pie’s client list includes The Rolling Stones and Alicia Keys, but it is with Paul Rodgers (lead singer of Free and Bad Company) that Margouleff’s zeal for the authentic has blossomed. 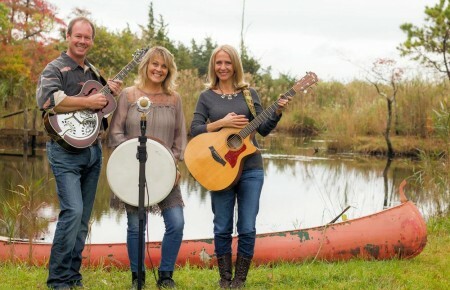 The two have written, performed and recorded together for more than 20 years. The ongoing collaboration includes their current R&B album The Royal Sessions. All the good studios of late 80s NYC were closing up. I went to all the auctions. All of the gear here is a product of the demise of the NYC studios. We really are more of a traditional recording studio by virtue of the fact we have a large live room and the right kind of recording equipment. A band can actually come into this room and we can capture the energy of a performance. Back in the 90s, I spent two years auditioning singers for my band (Catweezel), and my ads in the paper would say “singers in the style of Paul Rodgers.” And then one day he just called me up and went, “Hey, I heard your music and I’d really like to do something with you.” I thought it was a prank call until he identified himself by reminding me of a visit I had made to his home. We put a single out in 2012—a song we recorded at Pie called “With our Love” that went to number four on the classic rock charts. We recorded The Royal Sessions at Royal Studios in Memphis. We wanted to have all those players be in their natural environment where they’ve worked all their lives. We did the final mixes at Pie. Perry is what makes Pie Studios a unique place to record. It is his dedication to real music, performed by real musicians. Perry knows because he is a musician, songwriter and producer himself. Pie Studios and the Royal Studios reflect each other in terms of the organic ambiance. We just captured the music pure and simple and that philosophy applied to the mixing too. “You wouldn’t believe the stuff that comes out of that place,” said Steve Holley, former Paul McCartney drummer, referring to Huntington Station’s Parcheesi Studio. 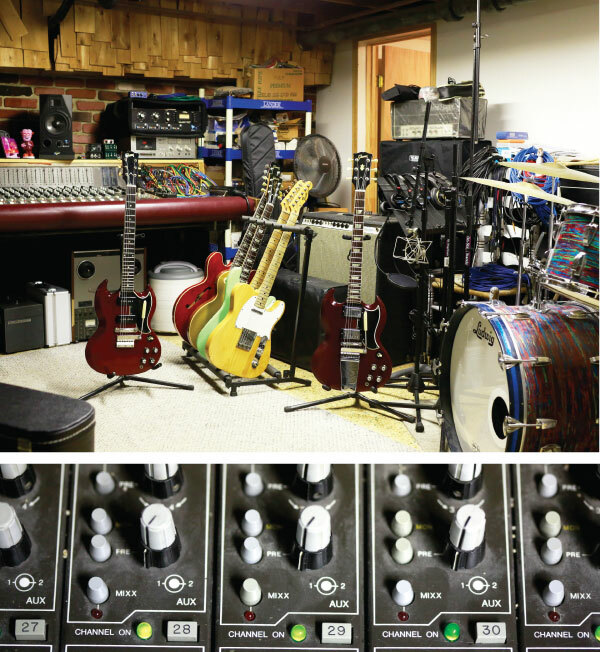 The no-pretense recording space is located in the basement of Bob Stander’s home. Stander owns the studio, serves as sole engineer/producer and is a multi-instrumentalist who plays on many of the studio’s recordings. He won a Grammy for his contribution to the children’s record All About Bullies…Big and Small. It is Stander’s deep reservoir of musical knowledge and top-shelf equipment that brings Great South Bay Music Festival prime-timers Miles to Dayton (m2d), back to Parcheesi time and time again. It’s not intimidating. It’s like the old days being in your buddy’s basement. It sounds like you went to the best studio in the world, and that’s basically from having good equipment and doing this every single day. I look at a piece of equipment as a big camera: If you have your thing together I can take a really good picture of it. Basically the studio thing is taking care of the client and giving him a product he’s going to love. I do love their music. I really dig John Preddice’s writing. They have a sound and the violin gives it a folk rock foundation. What I’ve added to them, besides my production techniques, was another dimension with my electric guitar sound. I also play live with them. How it usually starts is they invite me to a rehearsal. When they have all their material together, I’ll listen and take notes and suggest arrangement alterations. I like the personal atmosphere, the quality of the gear and I respect Bob’s level of expertise and his knowledge of recording techniques. He is also an amazing musician and his sense of humor really keeps us grounded. Playing with us allows him to get a better idea of what we are trying to present. He has time to hear the new songs develop before we record them, and it helps him with presenting new ideas or even different instruments to our palate. It keeps our minds open. When roused from his frequent reveries featuring himself as a Beatle, Mike Block is happy to resume his daily pursuits of providing occupational therapy for children with disabilities at Eastern Suffolk Boces and writing about the local music scene for Long Island Pulse magazine.